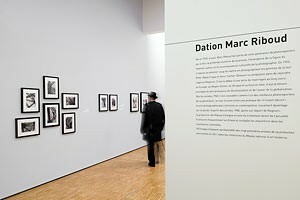 National Museum of Modern Art, Centre Pompidou, Paris, has 247 photographs by Marc in its collection. This collection includes the dation made in 2011 of 192 vintage prints selected from among the best in his archives. 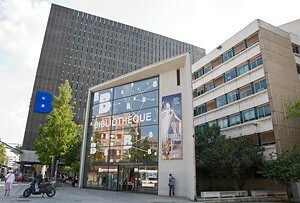 The Municipal Library of Lyon, city of Marc Riboud’s birth, has 65 of his prints in its collection. A large part of this collection came from a commission given to Marc Riboud by the Fondation nationale de la Photographie to mark the 50th anniversary of the construction of the Villeurbanne skyscraper in 1984. Cnap, part of the Ministry of Culture and Communication, encourages and supports within France all areas of the visual art, including photography. 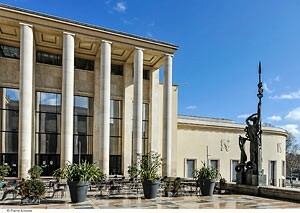 It acquires and manages on behalf of the State its acquisitions within the Fond national d’art contemporain. Included in its collection is a remarkable selection of 44 prints of China by Marc Riboud purchased in 1999 from the Gallery Agathe Gaillard and in 2003. 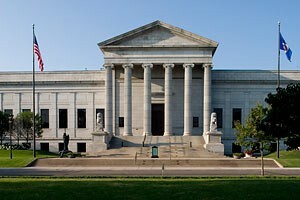 Created in 1937 as part of the World’s Fair, the museum’s collection highlights the major art movements of the XXth century as well as contemporary work. In 1985, following a retrospective exhibition of Marc Riboud’s work, the museum acquired a set of 40 prints, later completed with additional prints gifted by the photographer. This ensemble gave a further glimpse of his work made between 1950 and 1980. 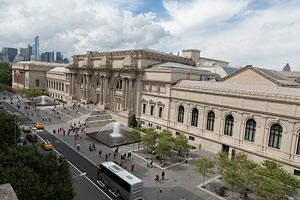 The Metropolitan Museum of Art, New York, possesses 19 prints by Marc Riboud in its collection. A first selection had been donated by the photographer in 1972 following his participation in the group exhibition “Behind the Great Wall of China”. 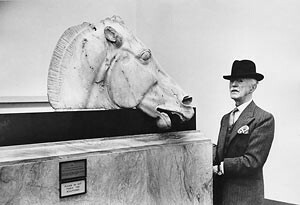 Other participants in the exhibition included John Thomson, Edgar Snow and his wife Nym Wales, Robert Capa, Henri Cartier-Bresson and René Burri. Riboud made an additional gift in 1996 to complete this collection. 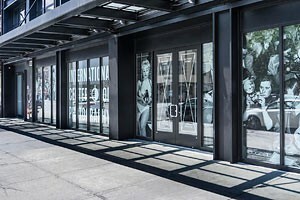 Founded in 1974 by Cornell Capa, brother of Robert Capa, the ICP in New York is one of the outstanding institutions dedicated to the understanding and the practice of photography in all its forms. The ICP organizes exhibitions and offers a full educational program for every level. The important photography collection of the ICP includes 44 photographs by Marc Riboud, many taken in the Middle East while covering events during the 1970’s. A retrospective set of 38 photos by Marc Riboud is included in the collection of the Minneapolis Institute of Arts. This acquisition was arranged under the auspices of the curator Ted Hartwell as a museum purchase through the Alfred and Ingrid Lens Harrison Funds, as well as gifts made by Lora and Martin G. Weinstein and the photographer. 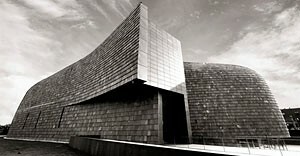 The Museum of the Central Academy of Fine Arts, Beijing was created in 1953 and housed since 2008 in a new building designed by the architect Arata Isozaki. The museum possesses 30 prints of China by Marc Riboud that were included in a retrospective exhibition that travelled to around ten cities in China between 2010-2011. These prints were purchased by the museum while others were gifted by the photographer. The Tate in London possesses a group of 13 photos taken by Marc Riboud in 1954 while in London on one of his first foreign assignments. This group used to be part of the Eric and Louise Franck collection, donated to the Tate in 2012. 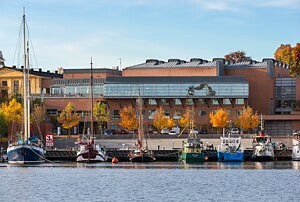 The Museum of Modern Art in Stockholm possesses a group of 56 prints acquired after an exhibition pertaining to photo reportage by Marc Riboud and Jean-Philippe Charbonnier in 1974. Riboud’s prints were of his recent coverage of Saudi Arabia and of Cypress during the struggles resulting in the division of the island.